Since creating its first laptop case more than 30 years ago, Targus has been a leader in the mobile computing accessories category for businesses and end users alike. Today, Targus continues to advance the category with innovative, productivity-boosting solutions that enable an ever-changing workforce to perform at their best — anytime, anywhere. 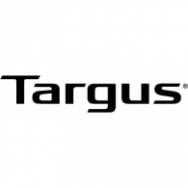 Targus’ wide range of products — bags, cases, docking stations, and computer peripherals — designed with its industry-leading, patent-protected technologies deliver the protection and connectivity essential for today’s connected world. A trusted partner of Fortune 1000 businesses worldwide, Targus is headquartered in Anaheim, California, with over 45 offices around the globe and distribution in more than 100 countries.